Do you have ready access to 2x4 wood pieces but do not know how they can be used? When I started with my hobby of creating DIY woodworking projects, I also had a hard time knowing where to begin. Thanks to these recommendations online, starting off becomes easier. 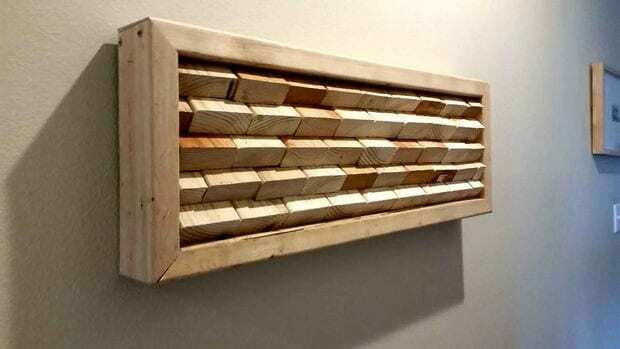 Here are 30 amazing things you can create using 2x4s, and start your project soon! Looking for a project that you can work on using 2x4s? 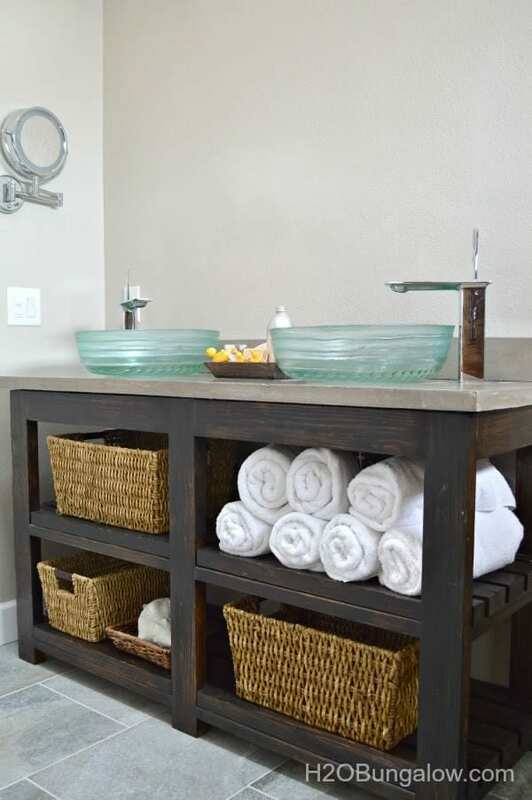 This vanity shelf is not just an amazing option that meets this purpose; it also serves as a good storage solution that can help organize your space at home. You have the option to select the color to match the motif for your home. If you are into DIY projects, having your paint storage shelf helps in organizing your materials and tools. While this sample was primarily made for paint storage, you can also alter the design, including the number of shelves to accommodate your unique requirements. 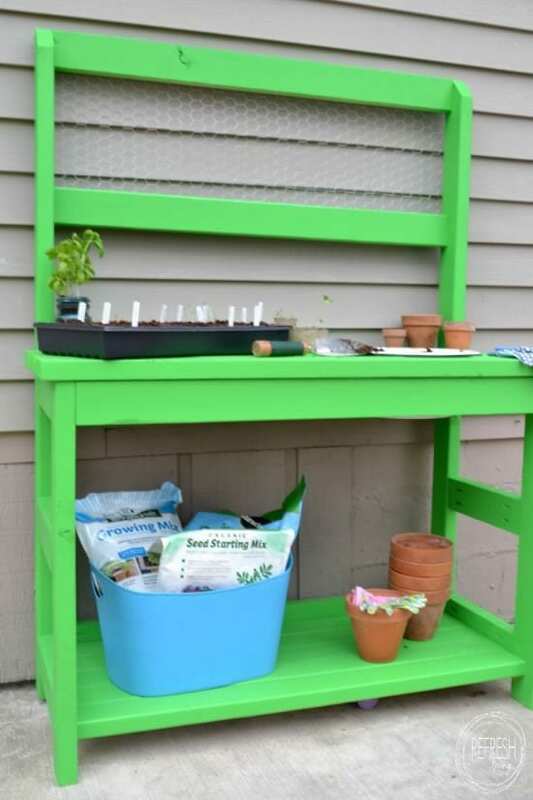 Having a green thumb works well together with loving woodworking projects. Who would have imagined using 2x4s work well with creating a potting bench? Green is a good color to choose considering the nature of this furniture item. Feeling artistic at home? 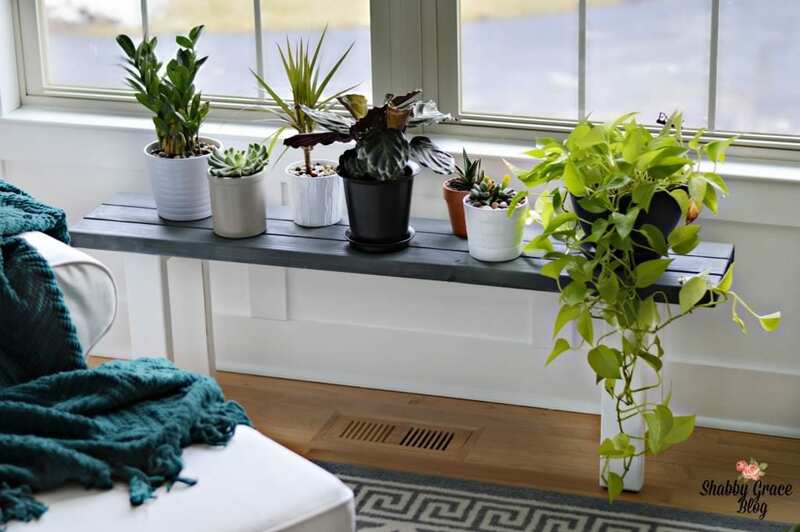 Spice up your space by using 2x4 s in creating a stand where you can place your decorative plants. Match the color of the stand to your interior motif for a stylish look. Searching for an affordable way to organize your kitchen without having to spend on expensive kitchentops? 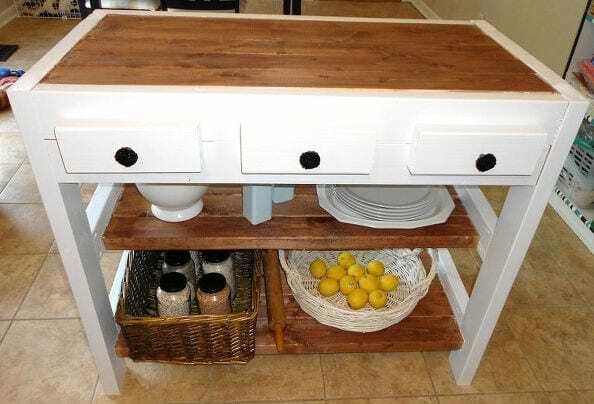 Create your very own kitchen island with some 2x4s at hand. Maximize then space in your kitchen by organizing things while ensuring style at the same time. 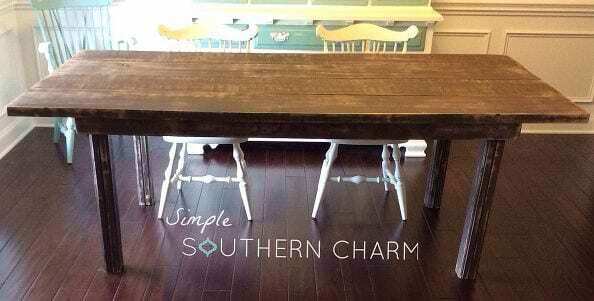 Want to add a classic, farmhouse table to your home? No need to order from expensive sources. 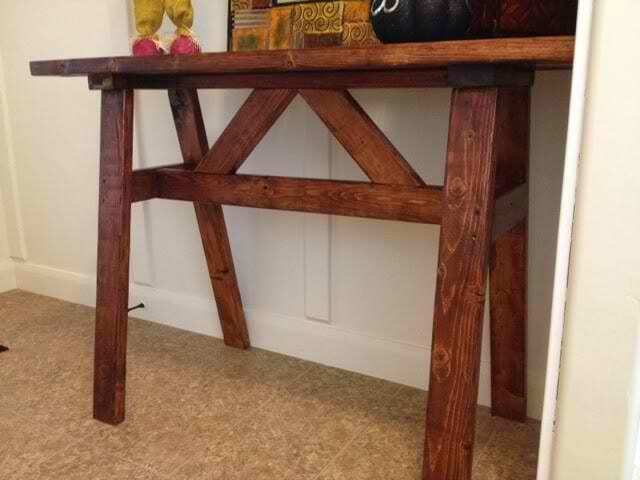 Make your farmhouse table using some pieces of 2x4s. You even have the option to stain wood, or other wood design techniques. 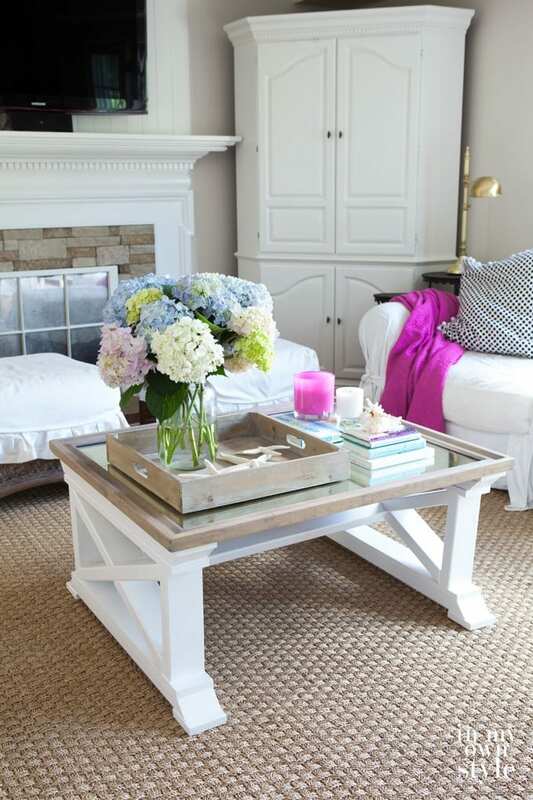 Greet your guests with an elegant entry way table using 2x4s. By making your project, you can amaze your guests with your style, while making sure that your things are organized accordingly at the same time. Rather than decorating the home of your walls with paintings and other crafts, explore the beauty of wooden options using 2x4s. This wall art is made of wood pieces, formed together to create an interesting opus. While you van has it plain, you also have the option to customize it by using colors. Buying ready-to-use pencil holders can be expensive and mainstream. Inject your creativity by creating your very own pencil holder using wood pieces. 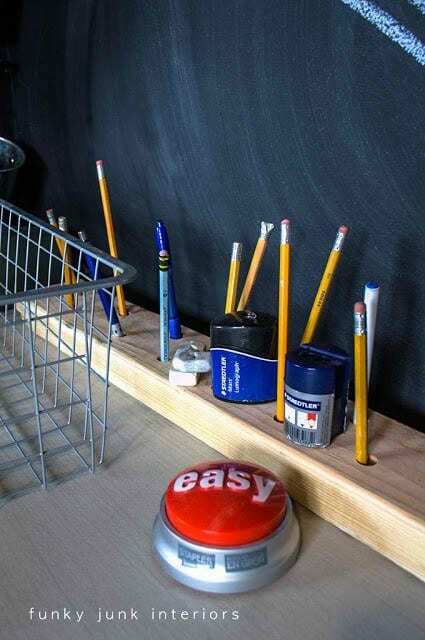 A 2x4 wood will do, drilling some holes where the pencils can go into. You have the option to change the color as well. Want to recycle some test tube vases and turn it into a decorative piece of art? 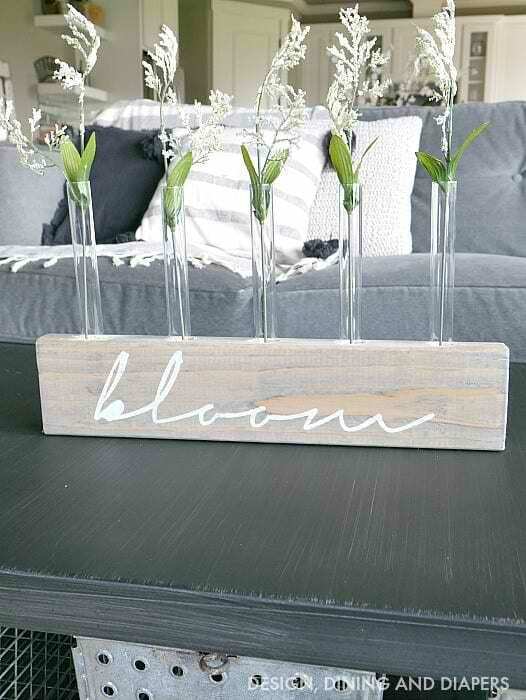 Use a 2x4 piece of wood and create a test tube vase display for your living room. Top it off with some plants to make it even livelier to look at. Is it possible to create a solution to organize your things, while ensuring style and art at the same time? 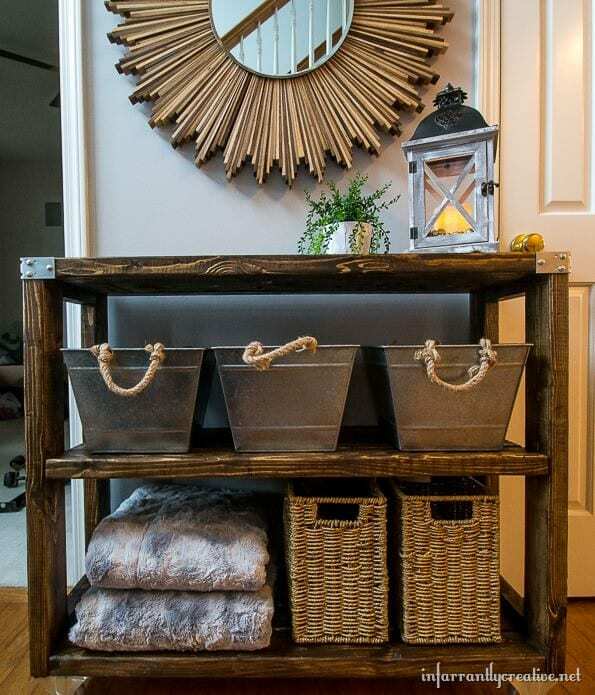 Using 2x4 wood pieces can lead you to create this Industrial Hallway Cart. You have the choice to stick to this recommended design or create your own by incorporating personal style and design. 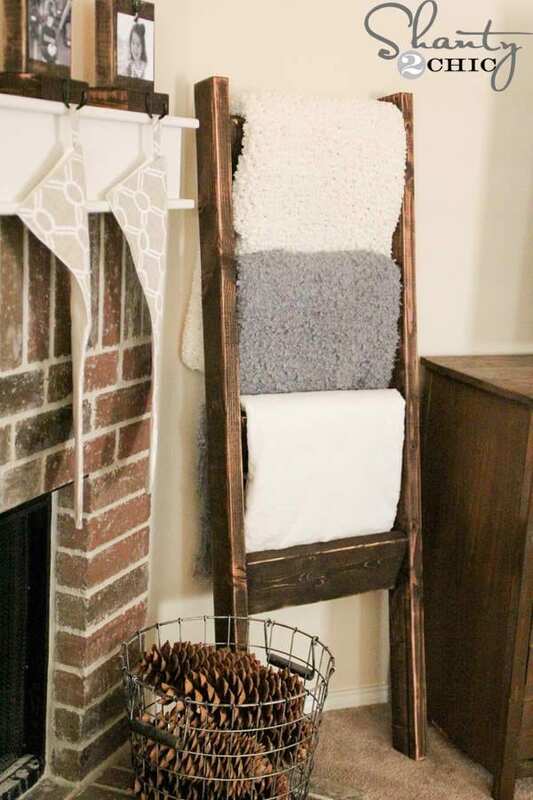 Build an exciting addition to your bathroom or bedroom with this wooden blanket ladder. 2x4 wood pieces can be used to create this innovative piece of furniture. This may look like a plain ladder at first sight, but when decorated with different colors of blankets, it will serve its purpose. Love wine and art altogether? 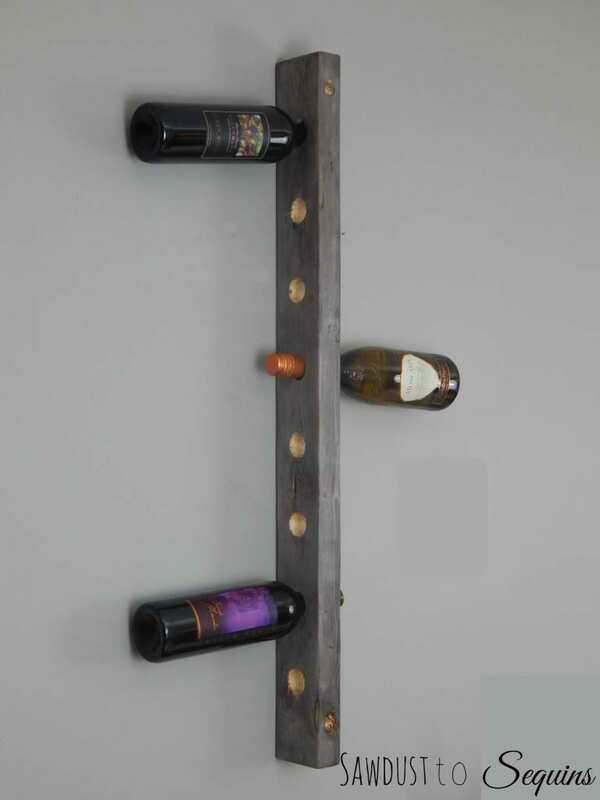 Find a place where you can store wine bottles by creating this hanging wine rack. Drill holes in a 2x4 wood piece just enough to fit the upper part of the wine bottle. You can choose whether you will go for a plain colored rack, or be extra creative by painting the wood with colors. Fond of 2-in-1 furniture solutions? 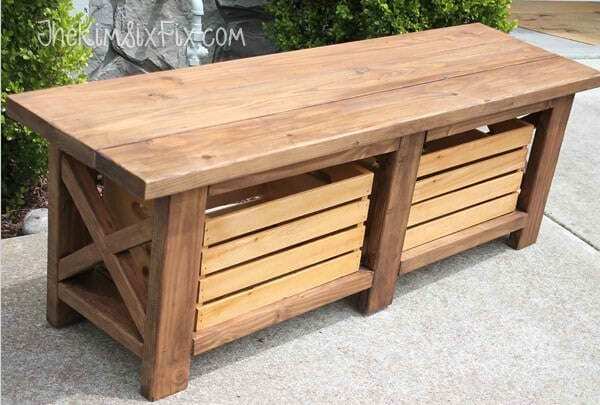 This wooden bench also doubles as a storage for crates. If you have enough wood pieces, you can also make the crates from scratch. The beauty of this storage is that it still looks great when used as a bench because of its design. 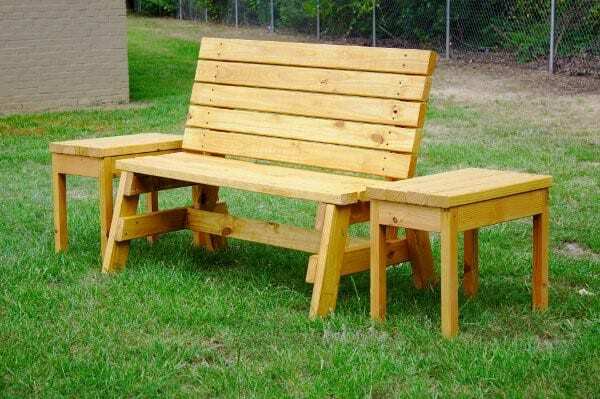 Tired of looking for a complete furniture set for your garden? Why not create your bench and side table set using 2x4s. You can decide whether a bench is enough, or add some tables on the side to complete the look. 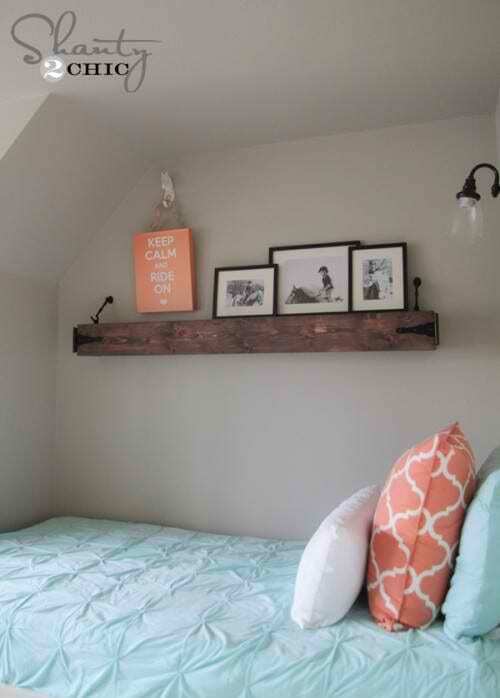 Instead of using plastic for a floating shelf inside your bedroom, spice up your space by using this rustic floating shelf. This will not just give you a place where you can store some items while hanging on the wall, it also gives that unique feel, knowing that a wooden shelf is not a usual pick. It is easy to find some ready-to-use charging docks and stations, but most of them are made of plastic or metal. 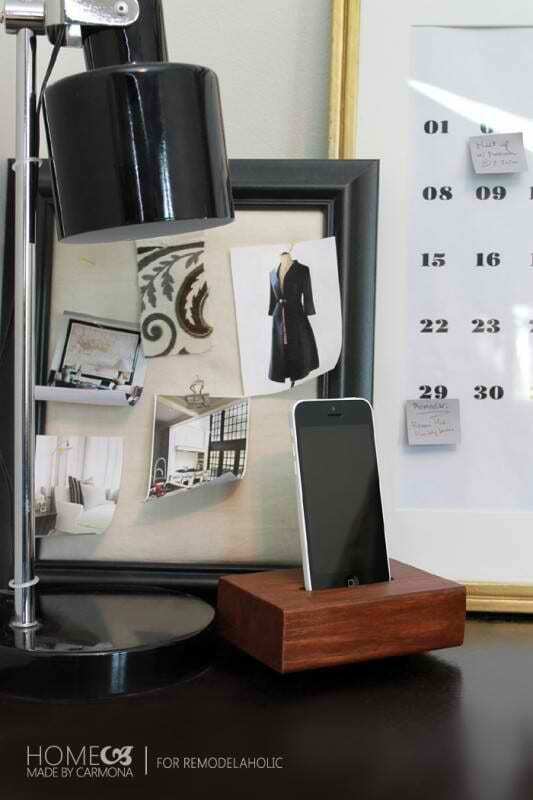 Make good use of 2x4 wood pieces and turn them into a wooden charging station. It will certainly look great on any table! 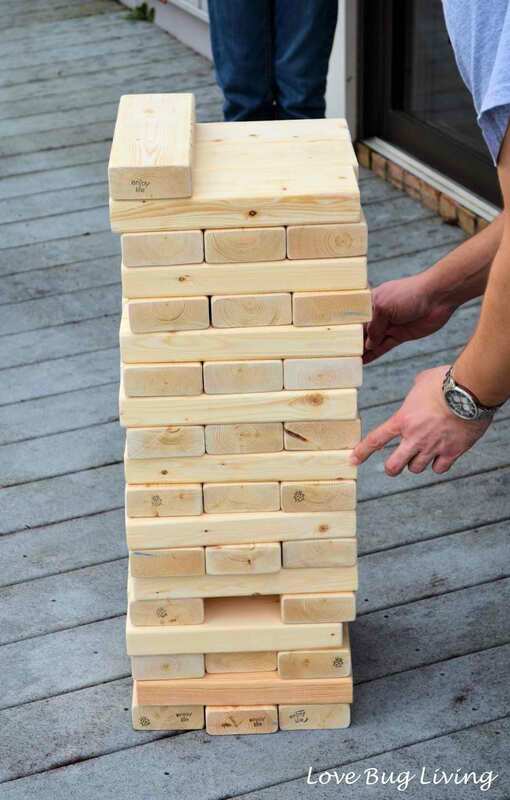 Love Jenga? Why not try playing the game using real, wooden blocks? The rules are the same, but you will certainly take the experience to a higher level. You can paint the blocks with different colors, depending on your preference and style, or leave it with its natural wood color. 2x4s can also be used in creating bigger furniture pieces, such as storage shelves. 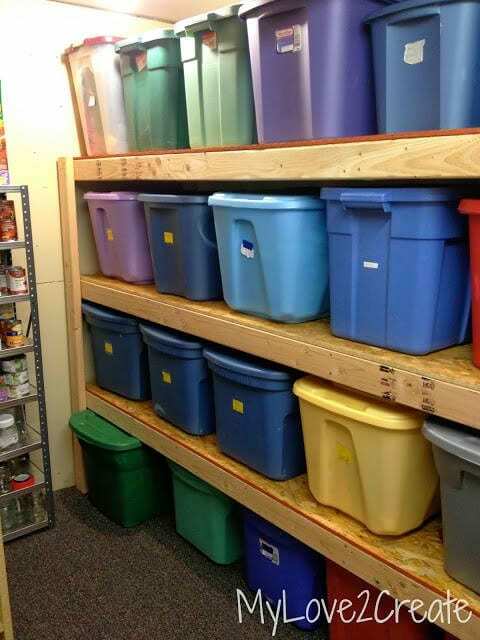 You may adjust the size of the shelves depending on the need, or be more creative by painting the wood or using other wood treatment techniques such as staining. 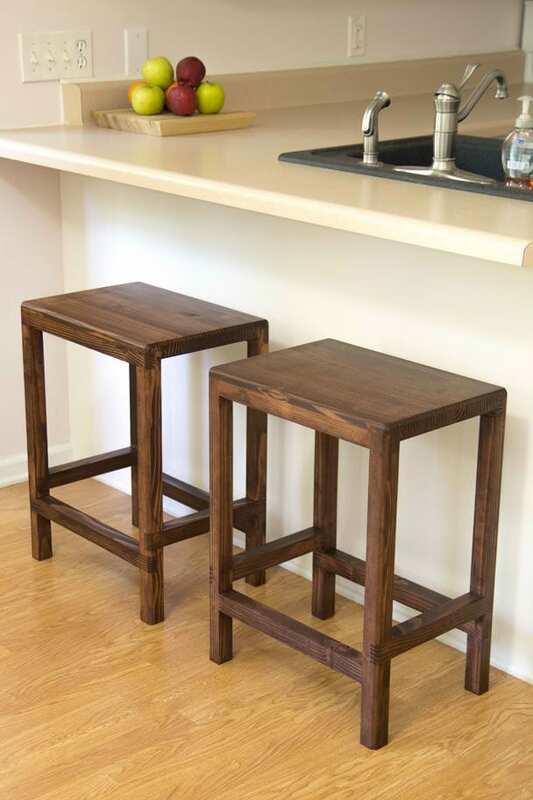 Instead of using actual bar stools which are highly prone to early damage, spice up your bar with some wooden stool pieces. They may be heavier, but they are sturdier and longer lasting. Because they are made of wood, there’s a unique touch to it ad well. Who doesn’t love porch swings? Your family and guests will certainly love this amazing addition to your patio. 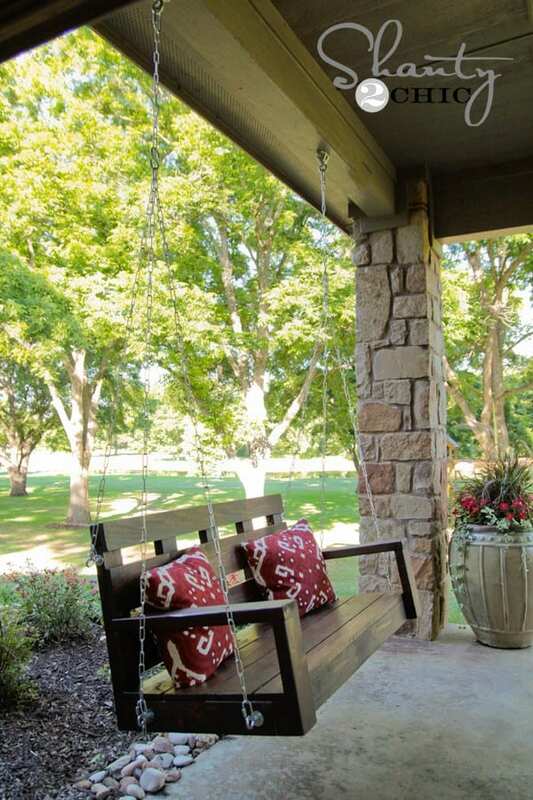 Rather than use the usual plastic or metal ones, a porch swing that is made of wood offers a unique sense of style. Need a storage solution where you can easily place little things and gadgets for a more convenient placement? 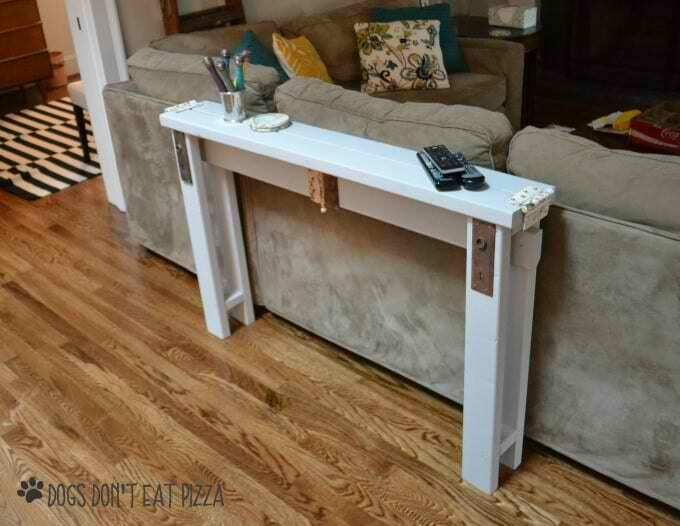 Installing a narrow console table will do the trick for you. By using wood, you are creating a sturdy furniture item that will surely catch attention as well. Light emitted from candles look even better with wood as background. 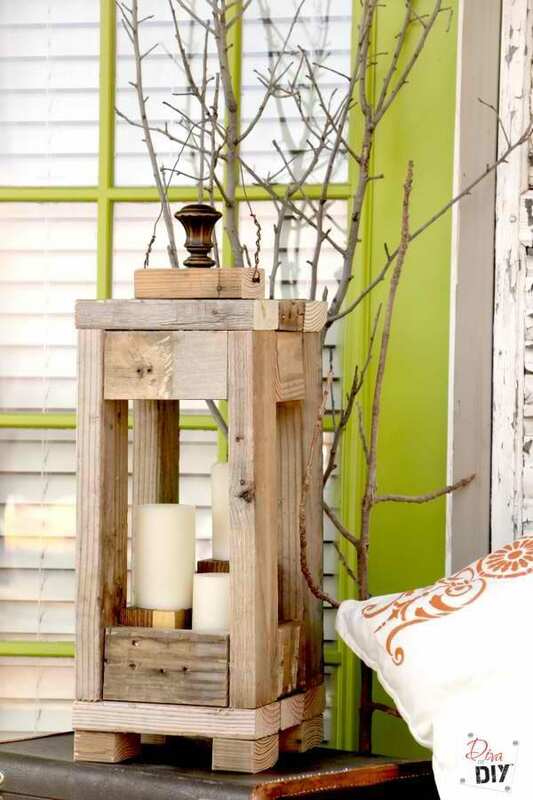 This can be achieved by using wood as the main material used in creating this rustic lantern. You can experiment with the design of the lantern, depending on the number of candles that the wooden lantern can accommodate. 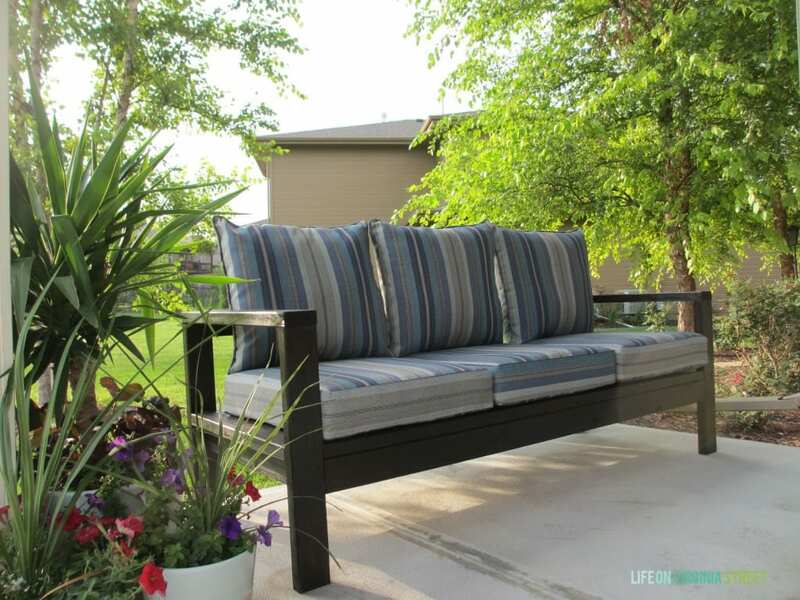 Interested in creating an outdoor couch that you can proudly call your own? You can choose the color of the paint depending on your preferences, even matching it with the other devices you have at home. 2x4s can be used in this woodworking project. Having a console for your living room or other areas in your home can serve as a good storage space for items. It can also double as a decorative feature at the same time. 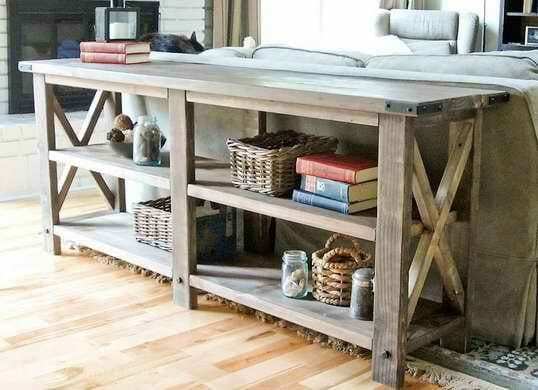 A console made of wood gives that rustic feel that makes the ambiance even cooler. Want to create a unique lamp that will grace the decorative feature of your space? 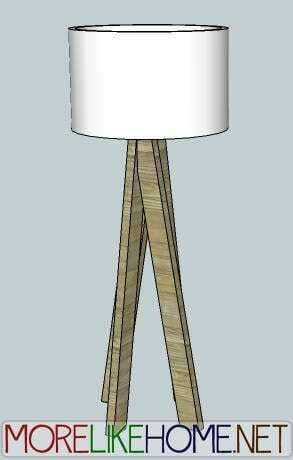 Make good use of 2x4s and come up with this funky modern lamp. Bring out that creative side in you and come up with a design that surely represents your personality and style. 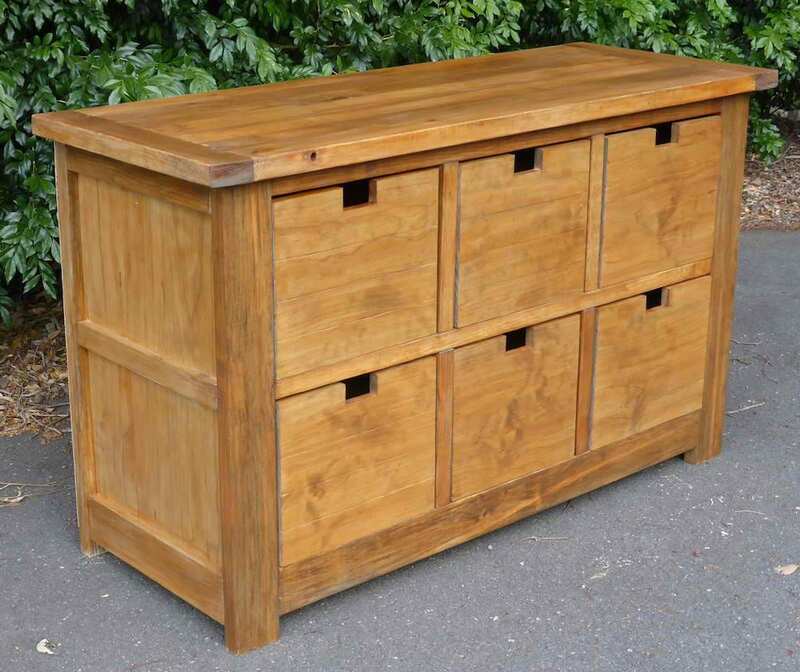 Wooden dressers are known to last a long time. Having one in your bedroom will guarantee this while making sure that you have the storage solution that you need for your clothing or other items. You can also change the design to suit your needs, sick as the number of shelves that are built into it. What is more elegant and lavish than using a wooden coffee table? To make it even more stylish, the mirror can also be used for its upper surface. This may look like the ready-to-use ones that are available for purchase, but creating one from scratch, out of 2x4 wood pieces make it more special. 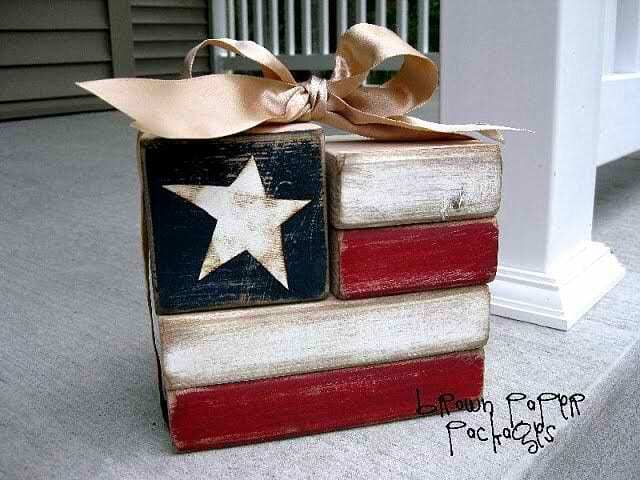 These flag blocks can prove to be great addition to you living room tabletop. You may want to create one for yourself, or even give one as a gift, especially to someone who values a nationalistic spirit. Tie a ribbon to the finished output just like the sample for a more elegant item. 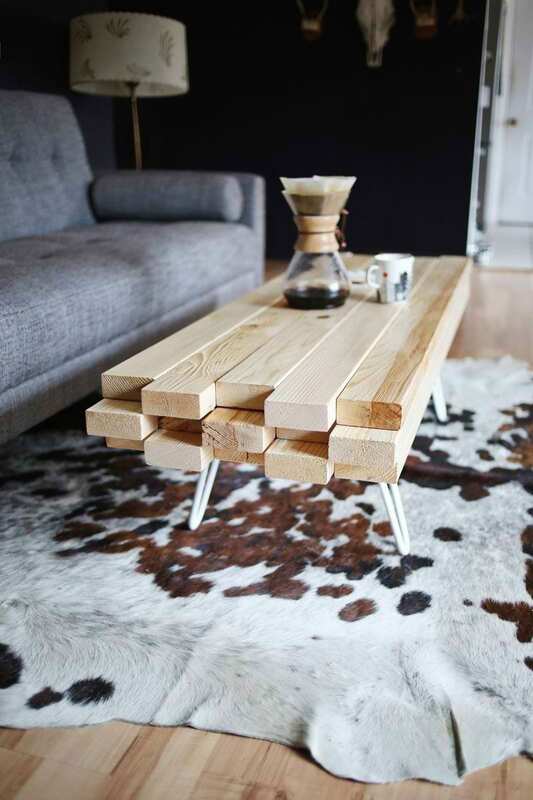 Play with your creativity and use some 2x4s in creating a simple coffee table. It’s up to you whether or not you would like to paint the wood used or leave it in its natural appearance. The actual design may also vary, depending on how you work on with your imagination and creativity. Do you find the list above helpful? The thing about woodworking projects is that there is a limitless amount of ideas that you can take into consideration. I find this list extremely helpful especially those who, like me, are beginners in this endeavor. Do you have other suggestions on other projects using 2x4s? Feel free the share them with us by leaving a comment below. Share this article if you liked it too!